I help people put together strategic marketing and communications, particularly around digital and social. – Digital strategy – helping organisations model the value of digital and understand what they should (and shouldn’t) do. – Driving excellent delivery – restructuring processes and team, cutting costs and driving high performance. – Competitive messaging – combining lessons from branding and political techniques. I have been published or quoted in the Financial Times, the Wall Street Journal, Management Today, Accountancy Age, Campaign, PR Week, The Guardian and The Independent. I am a regular columnist in The Drum, focusing on Social data. How do you fight fake news? There are lots of options. But taking real news into Russia is rarely mentioned. I’ve put here an updated blogpost that I originally wrote back in March 2014. It gives some simple ideas about how to use Facebook advertising against Putin. It’s well known that the Russian government maintains political support by suppressing the independent media, and deliberately making political discussion online difficult. Russia is likely among the top countries in the world for people believing fake news. So I wondered if there was a way to counter this, right in Putin’s backyard. In early March 2014 I started a small personal campaign to bring unbiased news to Russian speaking residents of Sevastopol, , the capital city of Crimea. Finding unbiased news was simple. I found the Russian language pages of the BBC website and then set up Facebook advertising targeted at people who lived in Sevastopol. Facebook advertising is quick to set up and reasonably cheap. Best of all it’s good at targeting people in specific locations. Back then I thought it was a good time to extend this to Moscow (where Russian public opinion is split on the war) and to eastern Ukraine. 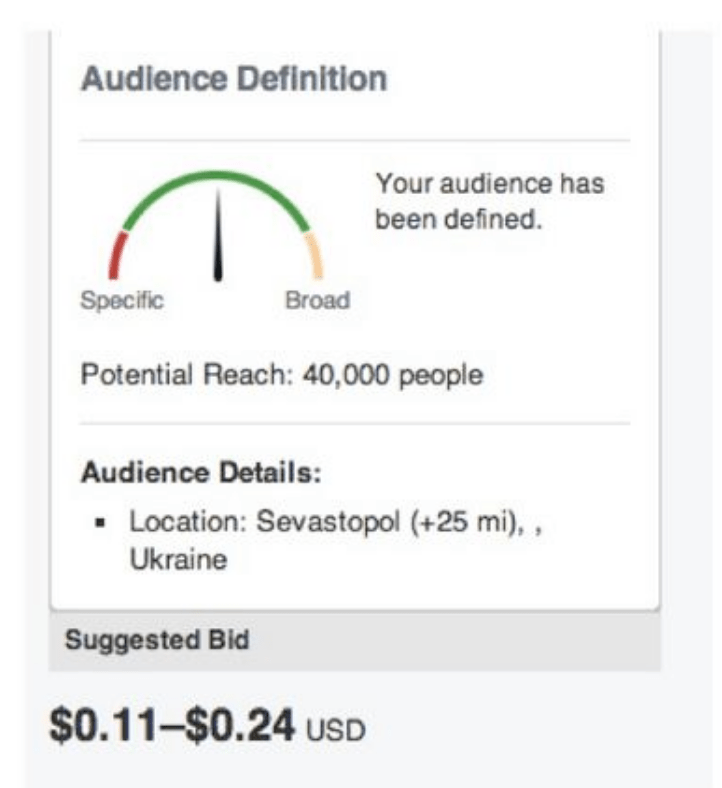 My ads reached 5,992 people in Sevastopol, resulting in 171 people clicking through to the BBC website – a fairly typical rate. In other words a reasonable number of Ukrainian or Russian residents. I paid an average of just under 10p per click – not unreasonable. I hope that the impact might be magnified if people in Crimea then get into the habit of using unbiased news websites. Setting up Facebook advertising is easy – just follow this guide. Even if you’ve never done it before you’ll be able to set it up in 15 minutes . If you want to get more ambitious there are alternatives for geo-targeted ads. Facebook is good because of its reach and ease to set up. YouTube also works well. Why isn’t Apple Pay taking off? For instance Apple have recently added made payment via Watch easier. Apple Pay integrations reportedly increase checkout conversion rates by 200%. And this sort of dramatic increase in conversions from Apple Pay has been reported in many comparable situations where people save their card details. Ofcom 2017 Communications Market Report shows that only 5% of people have tried mobile payment, up 1% on the year. I was intrigued by this. So I asked Transport for London (TfL) – who deal with millions of transactions annually covering £1.7bn. You’d expect that London as the leading city in the UK, itself one of the leading ecommerce markets globally, would be a major user of Apple Pay. TfL statistics on Apple Pay vs. Contactless. They show that only 1.5% of payments on the London underground system are by Apple & Android Pay. That compares to 17.7% by contactless cards. That’s 12 times more payments through cards than contactless. The balance in case you are wondering is people using London’s Oyster payment card – of whom 80% are topping up by bank card. In other words people have the choice to use Android and Apple Pay, but they just don’t use it. *Amazon is missing from this list because they do have large numbers of logged in users for their app. And, currently, they aren’t trying to be a facilitator of buying anything on any device. You still need to go through their website or app for everything. The annual Ofcom Communications Market Report is a treasure trove of data on how the UK behaves. I find myself regularly referring to it through the year as I work to distinguish hype from real trends. Among Android users 9 of the top 10 apps are from Google or Facebook. 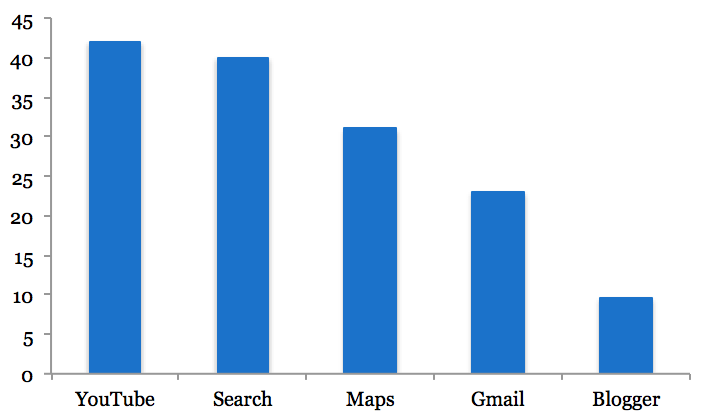 On any measure – from users, to time spent – Facebook and Google are far ahead of competitors. While Facebook has the social networking giants (Facebook, WhatsApp, Instagram and Messenger), Google has a wider variety of services, from YouTube and Search to Maps, Gmail, Drive and Chrome. Even Blogger, often forgotten, has almost as many users (9.6m) as Snapchat (10.3m). This dominance can be seen everywhere. 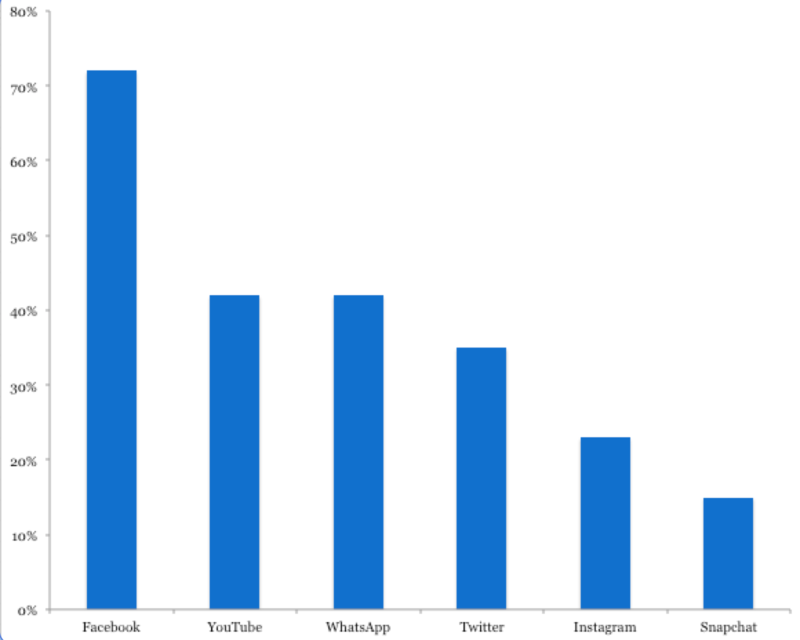 Now that WhatsApp has overtaken Twitter, Facebook has three of the top five apps. These apps notch up astonishing levels of use. 94% of Facebook users have used it in the last week, and on average users check it 12 times a day. WhatsApp is checked 10 times a day. YouTube had 42m users in 2017 – far ahead of any other video sharing site. Increasingly YouTube is taking time from traditional TV viewing, with younger views spending over an hour a day watching it in March 2017. Instant messaging is killing SMS, which is down 35% since 2011. While there’s no sign of email falling significantly this year, it’s no longer as dominant as it was. 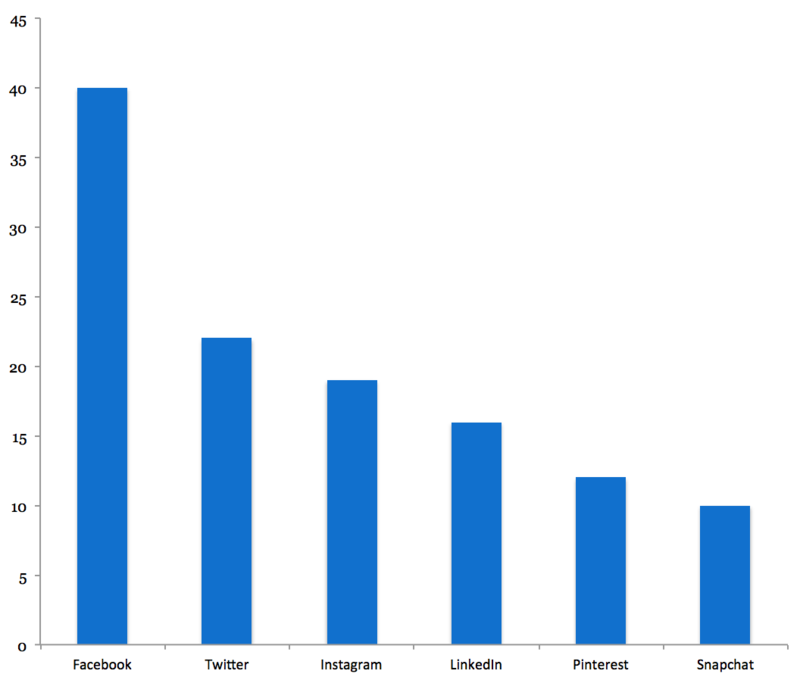 Snapchat’s often been talked of as a Facebook killer. But it’s nowhere near yet. Snapchat has gained over 3m new users this year but is still mainly restricted to younger users. Even in its home territory of messaging, Snapchat is a distant third, with 10m users to Facebook Messenger’s 22m and WhatsApp’s 18.2m. Twitter has gained almost a million users in the last year. While the company struggles, it continues to be a significant second-rank player, alongside properties such as Pinterest, Snapchat and LinkedIn. Talking of which, LinkedIn appears to be in some trouble, losing 4m users this year. Given recent improvements in the app, this is one of the biggest surprises in the report. Driving this year’s figures is the continued growth in older internet users and the increasing dominance of smartphones. Most older people are now online and this figure continues to grow. 53% of over 75s are now online, as well as 78% of 65-74s. This group, as they get more experienced, are using a wider variety of services, for more time, every day. For instance 69% of over 54s are now using social networking, and almost half of them – 46% – are using Facebook. 54% of over 54 year olds are using WhatsApp, doubtless because of its similarity to familiar SMS services. As Facebook starts to monetise the app, there’s a huge opportunity to reach this age group via WhatsApp. 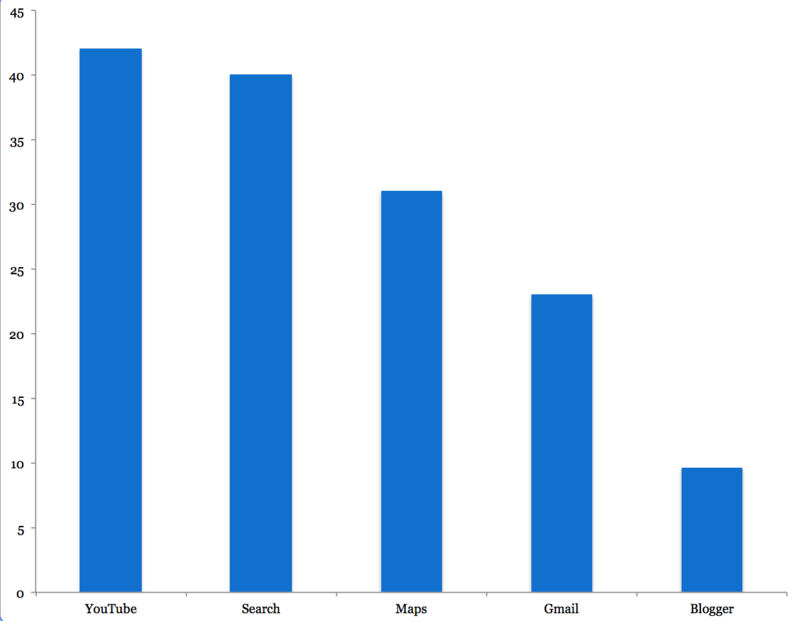 Older internet users are also increasingly users of YouTube – though currently still watch only 6 hours per month. If they start to get the YouTube habits of younger viewers, then the TV watching landscape will transform. Ownership is up 5% on the year, so smartphones are now clearly the most common way to access the internet – well ahead of laptops and tablets. Meanwhile desktops continue their slow decline, with only 11% of people considering desktops to be their most important device for internet access. The internet giants have been trying to crack mobile payment for years. While mobile payment is commonplace in China, it’s still not mainstream in the UK. Apple Pay, Android Pay and Facebook have all tried. This year it seems they’ve failed again. Only 5% of people have tried mobile payment, up 1% on the year. 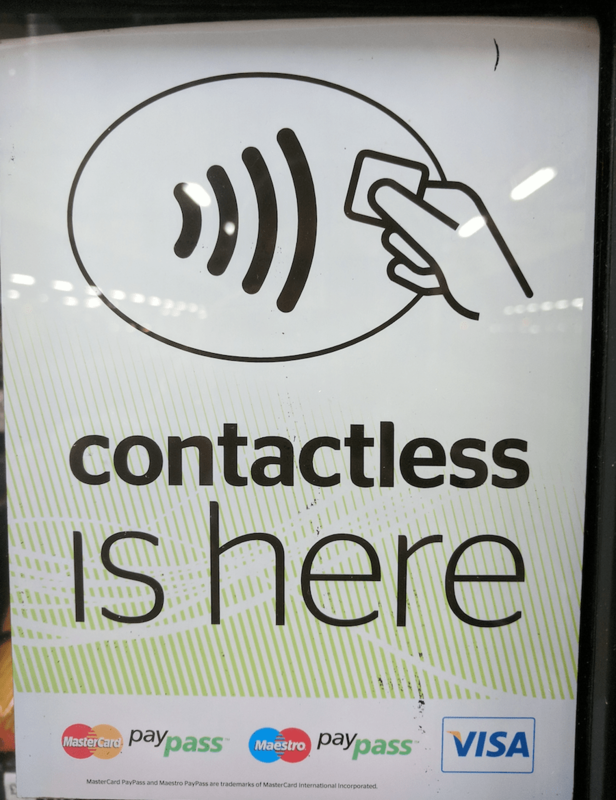 As to why, it seems likely that using your contactless card is simply easier, with cards now used for 30% of payments. Ofcom’s Communications report is full of unbiased research and surprising statistics. Download it and see for yourself here. Do you want to make a difference at the election? Most of my election effort will be trying to elect Lib Dems. But if you are non-party political and want to influence the election, this post is for you*. In the UK political system seats are all that matter in practice. You probably can’t remember what percentage of the vote Labour got in 2005. But you can almost certainly remember who was in power after the 2005 election. So anything you want to achieve needs to influence how many MPs get elected who agree with you. Britain’s electoral system means that most seats stay with the same party time after time. Roughly 200 seats, out of 650, really matter. Point 2 means that the only votes that really matter are in the marginal 200 seats. But roughly 50% of voters always stick with the same party. Leaving only 50% of people worth trying to influence, in the 200 constituencies you are targeting. Voting is voluntary in Britain. Even in a really high turnout election, only about 70% of people will vote. Add together points 1, 2, 3 and 4 and it means that you need to target swing voters in swing seats who might realistically vote. They are a varied bunch. But we can look at what is most typical of them. Living in the suburbs of Britain’s cities and towns. This is where the swing constituencies are. Think of suburban Leamington Spa or Derby. Middle aged. Young voters tend to have very low turnout (and there aren’t enough of them). Old voters tend not to change their minds, after a lifetime of voting a particular way. Not very interested in politics. In fact giving very little attention to politics day to day. This group typically make up their minds during the election campaign, often on election day. A surprisingly large number make up their minds in the voting booth. If you want to make an impact consider if you are going be relevant to this group of voters. If not what are you going to change? * Psephologists will notice some significant simplifications here. For everyone else – if you seriously doubt any of these points, drop me a line and I’ll dig out sourcing. Election 2017 will be a test of both messages and digital campaigning for Britain’s political parties. The big battle in the campaign will be to frame the election choice. There are two possible frames. In this frame public debate focuses on who would be best Prime Minister. 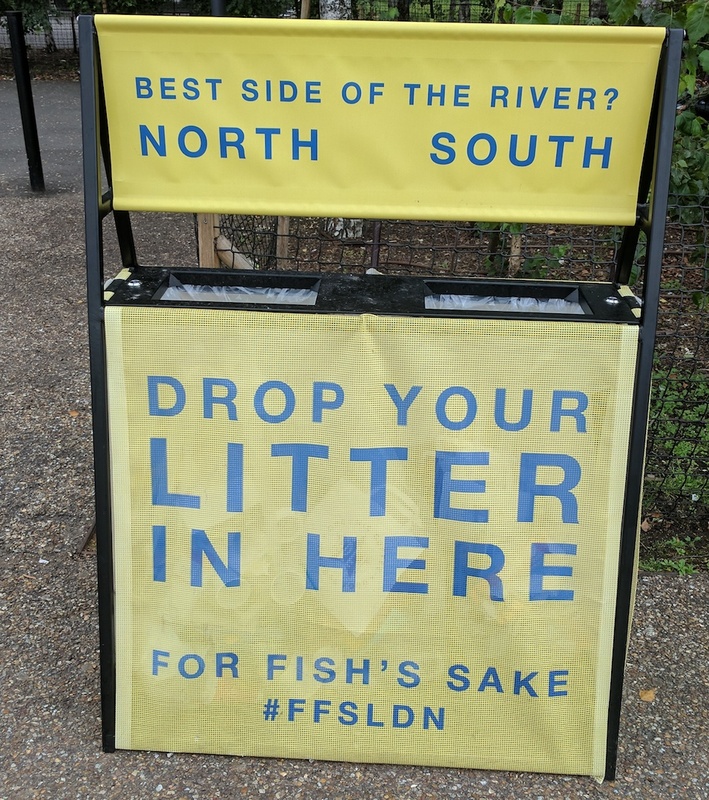 This is probably the campaign Theresa May wants. Theresa May will do well in this scenario. The public know her, and, largely, trust her. Jeremy Corbyn will do disastrously. Many members of the public don’t have a fixed opinion about Jeremy Corbyn. This will change after 7 weeks of Jeremy Corbyn being constantly linked to terrorism. Labour could do extremely badly. I’m biased, but in this scenario Tim Farron has the opportunity to break through as a new voice. Tim is a clear communicator and funny. From an normal background in the north of England he’s as far as you can be from a typical member of the political class. However he’ll face the challenge of being seen as a credible Prime Minister, leading a party with just 9 MPs. In this frame the public focuses on Brexit for the length of the campaign. Theresa May will face an opportunity to pick up a lot of pro-Brexit votes from Labour and UKIP. But she’ll also face two risks. Firstly the Brexit focus might help UKIP. Secondly moderate Conservatives may defect to the Lib Dems in England, and the nationalists in Scotland and Wales. Again Labour look set to do extremely badly in this scenario – losing a large proportion of their votes to either Lib Dems or Labour or nationalists. Again I’m biased, but there’s a big Lib Dem opportunity here. A simple way to think about the impact of digital on the election is to consider reach and impact. The Conservatives will have a significant advantage. They will be able to buy huge reach on Facebook and YouTube, as they did in the 2015 General Election. Labour have a secret weapon though. Back in 2015 they had around 6 million email addresses on their database. And, whatever you think of Jeremy Corbyn, he gets a lot of free reach on social media. While they have been relatively uninventive with their email, they have a significant, free, reach to the public. And you can assume they will raise several million pounds this way. There is very little credible research on the impact of digital campaigning on how people vote. A lot of commentary suggests things that are simply impossible. Impact on marginal constituencies: How much advertising is seen by voters in marginal constituencies? This should be reasonably easy to test through polling, as Lord Ashcroft did, crudely, in the run up to May 2015. Testing: A nimble political party should be able to test thousands of messages, and creative executions, quickly during an election campaign. This should, theoretically, feedback into the rest of the campaign from direct mail to speeches to traditional media. Integration: Does the traditional campaign support the digital campaign? For instance do the parties promote data capture? Does the digital campaign change what the traditional campaign does? None of us want to get left behind. But technology is particularly prone to damaging hype. Some of it is completely ridiculous. So I’ve written a brief guide to spotting hype. In short, keep your eye out for things that are impossible, bad value or without enough reach. This week a series of brands decided that the risk of appearing next to ISIS on YouTube was too risky. So they pulled their advertising. Media expert friends tell me that fiddling with YouTube advertising settings is effective at minimising this risk (at the cost of slightly more expensive inventory). But Google can also fix this: I’ve jotted down some back of the envelope figures on what they need to do. The debate about Cambridge Analytica, Trump’s election and data continues, here and in many other places. All the evidence I can see is that they did smart testing, but nothing particularly innovative. I’m writing up a presentation on it this weekend – let me know if you want a sneak preview of a draft. AI holds tremendous potential, but many struggle with knowing when to use it. Here’s a good grid to understand when computers are most helpful. I love SMS. The most underrated channel. Here’s a new campaigning tool built on SMS & Facebook Messenger. And a musician using it to sell records. A new model for professional services consulting? The brilliant Venkatash Rao has launched a consulting business with a difference. You subscribe and get unlimited help, by Slack. The big question for me is whether this scales – but I could see some interesting alternative models here from those offered by traditional consulting firms.